You had to search to find domain names. Some of the domain names at CES 2018. I spent last week in Las Vegas at CES, the big technology trade show that features 3,000 exhibitors. Throughout the week I kept my eyes open for domain names. The thing that struck me wasn’t which top level domain names I saw. It was how few domain names I saw. I’m used to seeing tradeshow booths with domain names plastered on them. That was even the case last year at CES. This year, I saw relatively few. I had to seek them out. Instead of domain names, it seemed that most exhibitors focused on good branding. Want to follow up with the company after the show or learn more about them? Take a card or Google the brand name. Sure, there were domain names there. But it seemed like I had to search for them. In addition to .com I saw .care, .life, .io and even .ms. And this year I saw .tech a couple times. 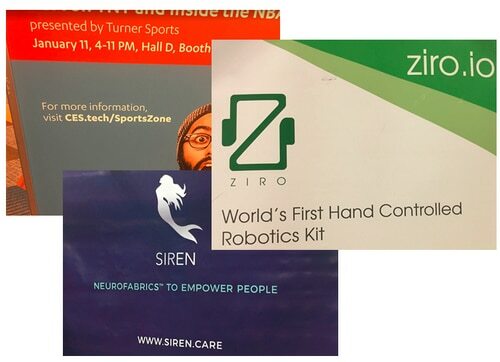 I was shocked last year that CES didn’t plaster CES.tech on any signs at the event. It was a big coup for Radix to land CES as a .tech user, but every sign last year pitched downloading the CES app rather than going to CES.tech. The year 2000, I registered all my LasVegas and all my domains. In 2003 there was not one billboard with a dot com anywhere in Vegas. I had a home across the street from CES and walked it, trying to sell my dot coms. In the year 2005 2006 2007 2008 and it was impossible, but they did want to date me. I gave up trying to sell domains at the convention center, as they were oblivious. Whats the best website to sell domain names?